Read by over 1,000 Business and Political junkies each weekend, The Notebook offers affordable advertisement rates. Over the past week, The Macdonald Notebook was read by 1,100 individuals, according to Google Analytics. That readership measurement does not lie—it’s a hard and fast statistic. In other words you can take that figure to the bank. The Macdonald Notebook Google Analytics page, on Friday, August 31, 2018 shows that 1,100 readers in the last seven days visited my website, making it an affordable advertising vehicle. These 1,100 readers opened 1,400 pages during this time period. My Google Analytics page shows that 1,100 individuals visited my website over a seven day period to August 31st, making The Macdonald Notebook an affordable advertising vehicle to reach a wealthy readership of Biz Titans and Political decision makers. Google Analytics tells me how many readers opened a particular article, and it also tells me how many unique IP addresses visited daily or weekly my news website. Of the 1,100 folk who read my website in the last seven days, they opened 1,400 news articles. Since our launch in March, 2017, The Macdonald Notebook has assembled a rather heady list of Atlantic Canada business leaders among our paid subscribers. From regional billionaires, to other well heeled business titans, to entrepreneurs and CEOs, The Macdonald Notebook offers an affordable way to reach the Maritimes’ movers and shakers. Our circulation also reaches into high levels of government, from several premiers to former prime ministers, the political reach includes all three mainline political parties. The government decision makers tune into our scoops and exclusives each weekend. In other words, as The Macdonald Notebook moves into our second year of independent publishing, we have assembled a veritable News Junkie audience. The Macdonald Notebook recently expanded our compelling journalism into Prince Edward Island and there are exciting growth plans as the calendar flips into September. Please visit our existing advertisers who see immense value in reaching our readers, advertisers like The Halifax Club; the new Asian eatery at Bishop’s Landing, run by Orlando–Halifax business leader Steve Caryi; Southwest Properties, run by residential and retail landlords Jim Spatz and Gordon Laing; and Royal LePage realtor Rick Foster, who was recently in the news when he sold Brad Langille’s $7.9 million mansion on the Northwest Arm in Halifax. That was the most expensive residential property to sell in realtor history in Nova Scotia. If you are considering your fall advertising campaign, consider tapping into the Maritimes mover & shaker audience available through The Macdonald Notebook. If you want advertising rates, feel free to click on the Letter to Editor button below this article to reach me. During the heat and dog days of July and August, 32 folk became new subscribers. I call them Macdonald Notebook Insiders and they enjoy our frequent news scoops and other news exclusives. To become a Notebook Insider, just hit our Subscribe Button. Since our launch in March 2017, The Macdonald Notebook has engaged a weekly readership of political and business leaders of the Maritimes. My team of freelance writers and myself have written over 1,000 news articles, now to be found in our archives. The Macdonald Notebook is generating over 1,000 unique visitors per weekend. The region’s top news junkies tune in every weekend for news stories not found in other media. We are addicted to breaking news stories and generating scoops, always on the lookout for stories which we hope are informative, entertaining and compelling. At The Macdonald Notebook, we also believe in the power of word-of-mouth advertising. To that end, here are some Notebook reader endorsements to help guide you into taking out a Notebook subscription. “The Macdonald Notebook is not ‘he said, she said’ journalism. Instead, it’s old-fashioned story-telling”. – Betsy MacDonald, NDP caucus toiler. 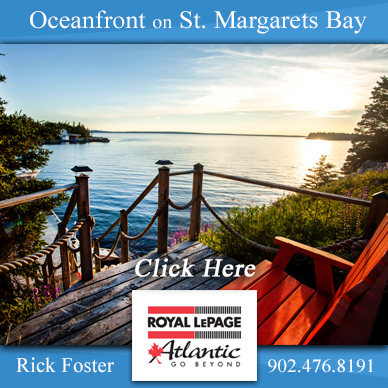 – Victoria Hines, realtor, Royal LePage Atlantic.